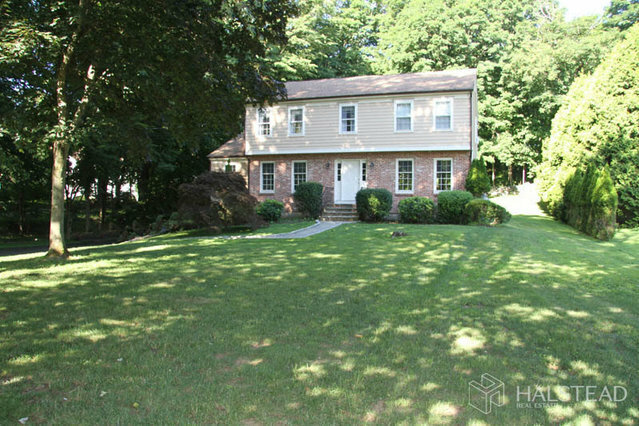 Traditional center hall colonial in sought-after Tokeneke School district. The interior has been freshly painted, floors refinished, awaiting your arrival! An open floor plan includes formal living room, formal dining room, family room with gas fireplace, French doors to lovely deck retreat. The eat in kitchen captures morning and afternoon light. Master bedroom with en-suite dressing area, bathroom (2 sinks) and walk in closet. Three additional spacious bedrooms share a large hall bathroom. An idyllic setting, .57 acres of flat land, a private backyard oasis! A must see!